Rocking a new velvet Ziggurat patch. Returning with the ongoing release of its Spring/Summer 2019 collection, Sk8thing and Toby Feltwell’s Japanese cult imprint Cav Empt has returned with the seventh drop of its seasonal range filled with signature cut & sew getups and graphic-heavy statement pieces. Included in the new drop is the prized Fleece Zip Vest in a two-toned gray and black colorway sporting this season’s Ziggurat patch marking the rear in velvet; the Colour-Noise Print Zip Jacket with matching Chino Wide Pants in orange and red iterations; Over-dyed Hickory Jacket in a striped denim fabric; and the Bleached Rib Seam Heavy Hoody in stone bleached cotton fabric. Rounding out this week’s release, the brand dropped the C0a0v0 Crew Neck in an over-dyed and stone bleached blue, employing a silk screened front graphic and a neon green Ziggurat patch on the rear, finishing the drop off with a front and back visual donning MD Concrete tee in black and white. As usual, all products are made in Japan. 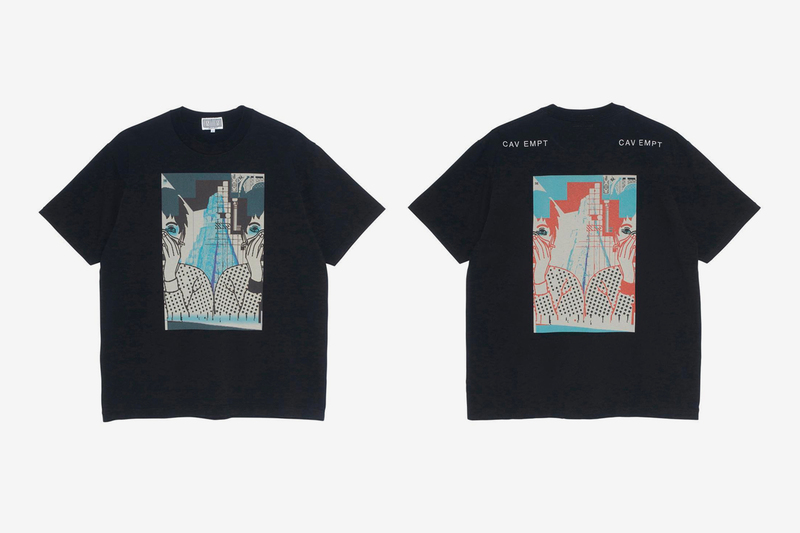 Take a look at the pieces above, and if you’re interested in copping, various products are still in stock over at Cav Empt’s web store. The pieces will likely be hitting global retailers in the coming weeks. For more related news, check out Stone Island Shadow Projects’ video for its Spring/Summer 2019 seasonal range. Just in time for Christmas 2022. The debut album from the rising Atlanta star. Includes frisbees, clocks, rugs, and more. Riz Ahmed, Paz Vega and Vincent Kartheiser join the cast.